You'll be £30.00 closer to your next £10.00 credit when you purchase British Type 3 Diesel Locomotives. What's this? 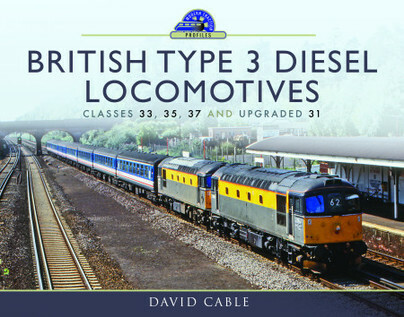 The Type 3 Diesel Locomotive album comprises over 200, mainly unpublished, full sized colour photographs of four classes of British engines, developed in the earlier years of the Modernisation Plan. The Book has been compiled by David Cable, who has authored a range of very successful colour albums for Pen and Sword Books Ltd. The photos illustrate the many duties and colour schemes of the classes in a variety of locations and colour schemes of the classes in a variety of locations, using largely unpublished photographs from his extensive collection. Each class is covered very well showing different liveries as well as a wonderful variety of trains.